A hearty welcome to “Photographically Curious” by Katja and Bojidar ! We love photography, nature and far-away backpacker-style travel, so at Photographically Curious we blog primarily about our photographic tours and the people we meet along the way. Wherever we go, we stay as far away as possible from the tourist areas and try to get an authentic glimpse of the everyday lives that people lead. We are forced to travel light, but we also love to produce impactful images, so we love photographic equipment that is rugged and powerful, but also very portable. Luckily there is more and more gear that fits these requirements: not only cameras and lenses, but also light modifiers, camera support, bags, filters, etc. So follow us if you are interested in our quest to find the best collection of gear to tackle any photographic trip. Last but not least, we write how-to articles and Lightroom tutorials where we explain how we rate and edit our images, make backups, produce impressive web galleries, and a myriad of other topics. It seems like we’ve been involved with photography and far-away travels forever. Bojidar started photographing with a Russian Zenit in 1988, bought his first Pentax in 1994 and has used Canon and Nikon extensively before giving up DSLRs completely and going mirrorless with an Olympus OM-D in 2013. Bojidar is in love with Lightroom, knows the program inside and out, and is thrilled to share his knowledge with you. Katja started out with compact cameras but quickly progressed to an Olympus OM-D also, so now we can easily switch cameras or share lenses and accessories, which helps tremendously in reducing weight and bulk. In 2007, just before his first trip to India, Bojidar started this blog under the name No Art Photography. 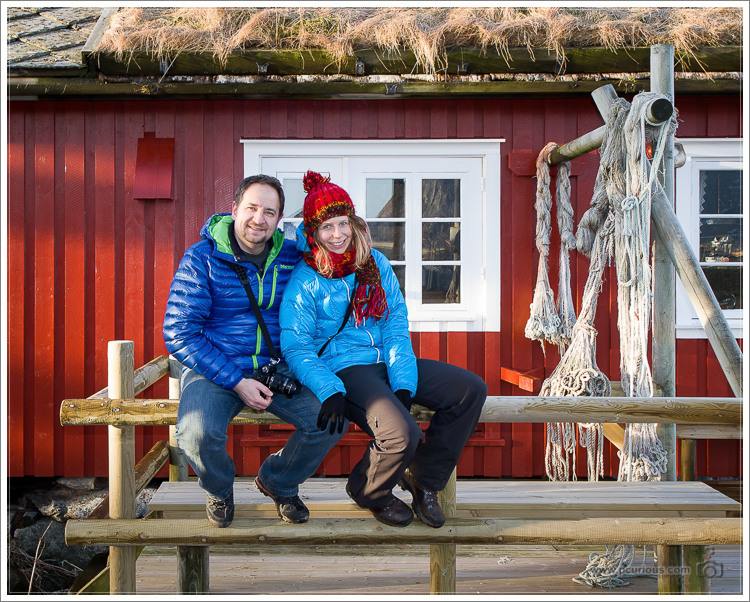 Katja and Boji met in 2012 and in 2013 renamed the blog to Photographically Curious and have been photographing, writing and traveling together ever since. Contrary to many modern-day photographers we are quite indifferent to megapixels, ultimate lens sharpness or applying “creative” effects to our images. Instead we are primarily concerned with the subject, light, mood, composition, and with releasing the shutter at the decisive moment. Katja and Boji met on a fascinating tour to the Norwegian national park Dovrefjell: 11 people carrying 11 large backpacks, several small tents, two portable gas cookers and food for four days. It was a truly spectacular experience and a turning point in both our lives. A few months later we were madly in love with each-other and have been traveling close to nature and away from the tourist paths ever since. At present (July – December 2014) we are making a world trip to Africa, Asia and South America. At the moment we still have full-time jobs, but together with a dear friend (the one who organized the Dovrefjell tour) we are building a startup which will let anyone who’s interested take part in our unforgettable travels. If you have any questions or simply want to get in touch, please post a comment or send us an e-mail. We’ll be happy to respond! i am from Brazil and I was really impressed by the pictures you have been taking. I have the same passion for photo as you, although I am really far far away from the technique you have, but I am starting my blog too (which started as a travel blog, but I am improving it to photo blog in general). Congratulations for your work and, if you have some time to spare, please take a look at my http://www.ricbrand.blogspot.com/.